Lego art is awesome. Not only does Lego inspire people to go to great lengths to create elaborate builds and MOCs, but it inspires people to create in other mediums too. Starting today Lego doodles, drawings, graffiti, paintings and sculptures will be featured in the new Art category. 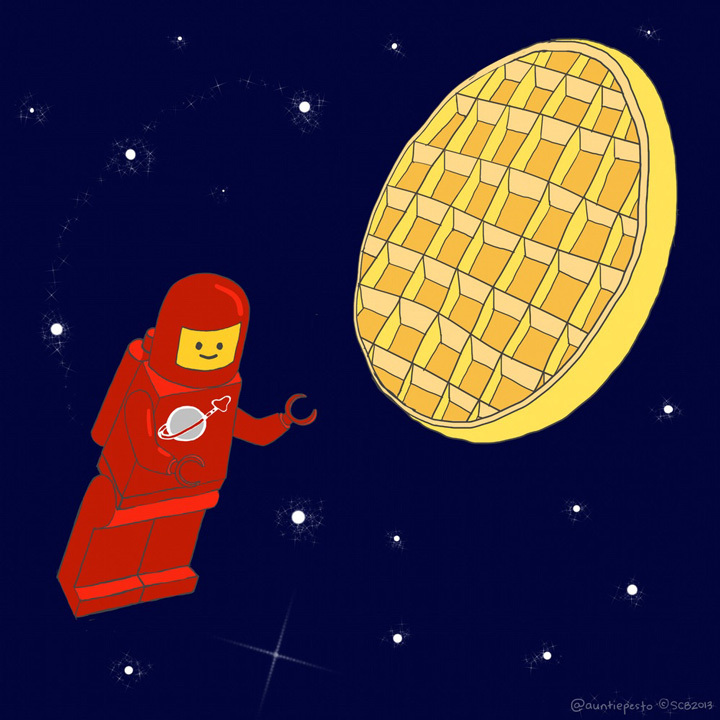 Lego and Eggo have gone together since the dawn of time. Recently in the funny weird LeggoMyLegoEggoLeglessLegoLegolas meme. If I was a red Lego Spaceman, I too would float towards a giant Eggo. Check out Lego My Eggo over at Tumblr, it was drawn by the super cool AuntiePesto. Her site is full of fun doodles. And, according to AuntiePesto, make sure to listen to some Chaka Khan during your future Lego doodles.